Fish & Richardson received a perfect score of 100 percent in the Human Rights Campaign’s 2011 Corporate Equality Index (CEI), a survey that assesses American workplaces on lesbian, gay, bisexual and transgender equality. Fish & Richardson was one of only 337 companies to receive the highest possible rating of 100 percent in this year’s survey. “Fish is proud to receive this prestigious designation. Diversity enriches our organization and law practice by providing a variety of different backgrounds and perspectives that lead to new and innovative ideas, in turn enhancing the quality of the legal services we provide to our clients,” said Nancy Stagg, Chair of Fish’s Diversity Initiative. Now in its ninth year, the CEI has helped lead a sea-change in the workplaces practices of corporate America by assessing more than 30 specific policies and practices covering nearly every aspect of employment for LGBT workers from non-discrimination protections and the training surrounding those policies to domestic partnership and legal dependent benefits to gender transition guidelines and LGBT employee resource groups. 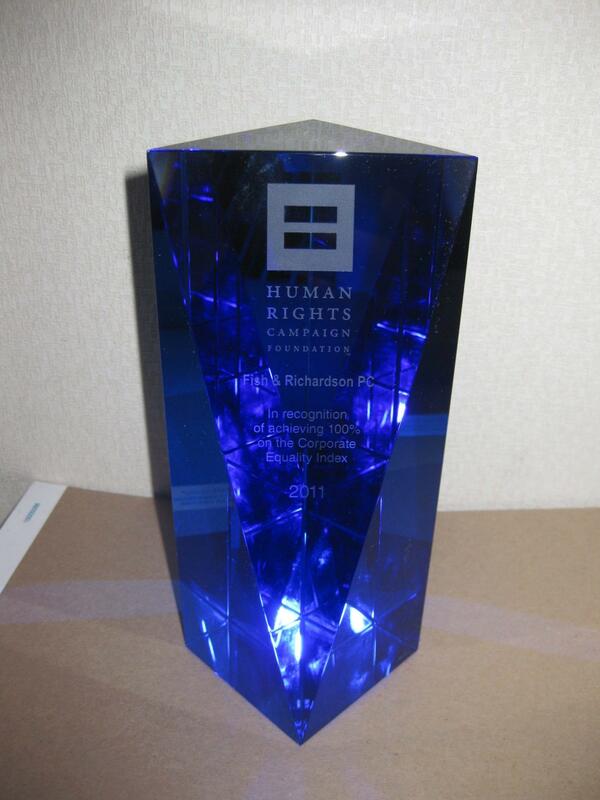 Fish attended the Human Rights Campaign’s LGBT Workplace Equality Awards ceremony on March 23rd, 2011 where Fish attendees accepted the award on the firm’s behalf.